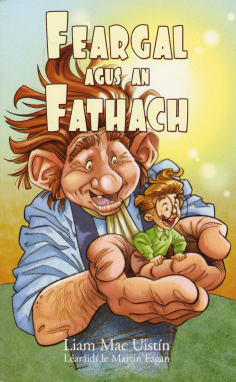 As indigenous Irish and Scottish literature developed the prodigious nature of the Fomhóraigh led some late writers to present them as Fathaigh “Giants” (Old Irish aitheach, Modern Irish fathach “giant”) a theme emphasised in the folkloric period. However the term was also applied to some mortal or legendary heroes in a few pre-modern folktales including a handful relating to Fionn mac Cumhaill. Despite this it is clear that Irish versions of “Giant” stories are derived from the imagery associated with the Fomhóraigh mixed with Classical and Biblical influences, as well as recent English and Germanic fairylore. At no point did Gaelic tradition include a “race of Giants” unless one includes the Fomhóraigh in their most florid literary form.